Shoshi Kaganovsky is an international and visionary entrepreneur, founder and CEO of SensOleak. Focus fields: Oil and Gas, Med-Tech, Renewable Energy, Environment, Cyber and Big Data. Shoshi holds an International Executive MBA from the University of Haifa in Israel as well as BA and MA degrees in English Literature and Japanese Studies. Over the past decade, Shoshi has served as a startup consultant and investment generator, commercializing Israeli technologies abroad and bringing foreign investments to Israel. 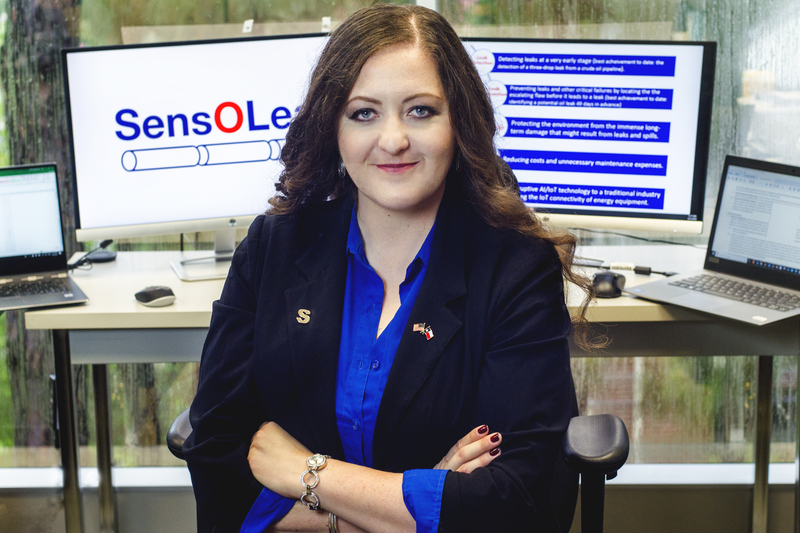 Since 2010, she has focused on developing SensoCore – an Artificial Intelligence (AI) based, real-time monitoring system with components of machine learning. The system helps prevent and detect pipeline leaks and other failures, and it has many different applications in the energy market.. In 2017 Shoshi relocated Sensoleak headquarters to Houston, TX – the energy capital of the world – to engage with the many Houston-based industry’s innovators and some of the most creative talent in the industry. Establishing an office in Houston is the first step of Shoshi’s plan to bring innovation to the Oil&Gas industry in the U.S., create jobs and help turn the market into a profitable empire again. Shoshi is a member of the Entrepreneur’s Organization (EO) – Houston Chapter. Named one of 70 most brilliant innovators of all times in Israel – 2018. Named one of 20 most influential women in Israel – 2017. Named one of 12 best entrepreneurs in Israel – 2017.